Lately, I have been spending too much time with makeup. Yeah, it's a real thing! Between too much time in Sephora and Nordstrom and online shenanigans... I should probably take a chill pill. I decided to not let it go to waste and share some swatches along the way. I will start with the Milk Makeup swatch because it's something I have been thinking about since I left Sephora without it. It's one of the prettiest holographic highlighters I have seen yet. 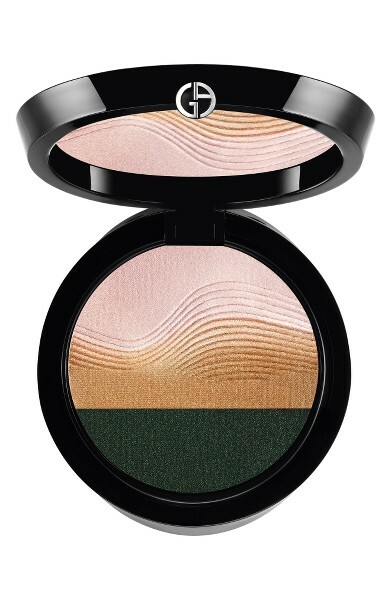 Something else I have been super curious... well, more like lusting after is the Armani summer makeup collection. I was innocently browsing and saw the Life is a Cruise Sunset Eye Palette on display along with some eye tints and liners from the collection and that was the end! The palette is $88.00 so I skipped it (extremely pretty though and if I weren't being eyeshadow palette-conscious I would have gotten it). I ended up getting the new Eyes to Kill Proliner, which I cannot wait to try and an Eye Tint (29). Update: Picks I bought reviewed here. The Dior Couture Colour Lipsticks have been out for a little bit, but I had forgotten about them until I saw them on display. I ended up picking Chocolate Matte, but here are a few swatches of other colors as well. Update: Chocolate Matte reviewed here. I'd be lying if I didn't say it was the gorgeous packaging that drew me to the new Givenchy Les Saisons Le Rouge Lipsticks. I love the springtime colors! I am always looking for a good cream shadow. I love the likes of Charlotte Tilbury's Eyes to Mesmerise to ColourPop's original shadows. 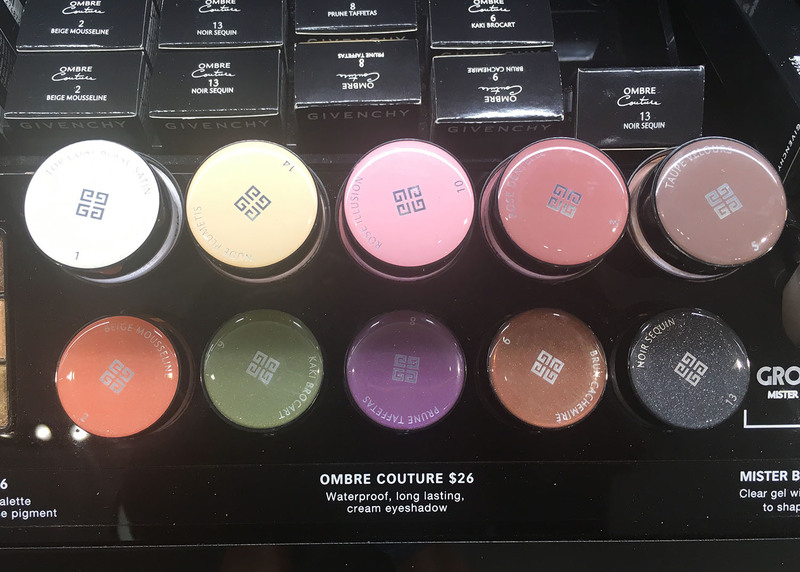 I spotted some from Givenchy in Sephora and swatched a few. I have been eyeing the lip tattoos for some time and sooner or later I shall have a couple of these under my belt. The two colors that sparked my interest were Natural Berry and Natural Cherry. Another lip tint I have been curious about are the Lancome Matte Shakers. Here are some swatches. I hadn't seen nor heard of these before going into Sephora to grab more of the Make Up For Ever Aqua XL cream shadows. Many brands are creating liquid highlighter drops. I have one from CoverFX that's beautiful and I am super interested in trying one of these, specifically Star Light caught my eye. While I am over the metallic lip trend, the Kevyn Aucoin Molten Lip Colors look so unlike anything the brand has ever offered (that I have noticed) and I was curious about the formula. Rose Gold looked the prettiest to me so it's the one I decided to swatch. I think it's too bright for me lol. I just love looking at Tatcha's products. The brand does a really good job on packaging and making you feel like you're slathering luxury on your face. The new Water Cream caught my eye, mainly because if the beautiful golden spatula on the top of the jar. First impressions are that it's a pretty light moisturizer that made my hand feel very soft and smooth. As it dried down it was a bit tacky. I would use this as a first moisturizer. It's got a very earthy smell to it, but it wasn't off-putting. The ingredients are pretty exotic, and something that I would generally go for like plant extracts and fermented ingredients. It's marketed for normal to oily skin types and is $68.00. That does it for Super Swatch Sunday!